Whether you are facing the liquidation of your own or a loved one’s estate, or if you are in a downsize situation, the task can seem overwhelming. In these situations it is vital that you choose the right people. Let us take the burden of “Where do I start?” and “I simply don’t have the time or the emotional energy right now” from your shoulders. With transparency and integrity, we will carefully sort, organize, market, and professionally liquidate your estate from start to finish. 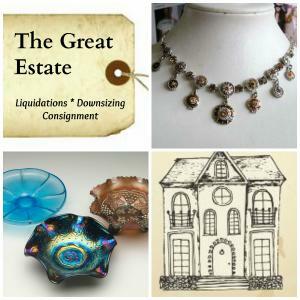 If it’s a downsize you are facing, we can work with you to liquidate your personal property in a smaller sale before a closing, a combined sale, or consignment. Life comes with curve balls. Some you expect and can plan for, others hit you with no warning at all. We at The Great Estate make it our business to help our clients organize and plan for the expected or, if needed, to shoulder the burden of an estate when the unexpected hits. Fabulous NW OKC Sale: A Very Brady Sale! Click HERE for pictures and details about this great sale!